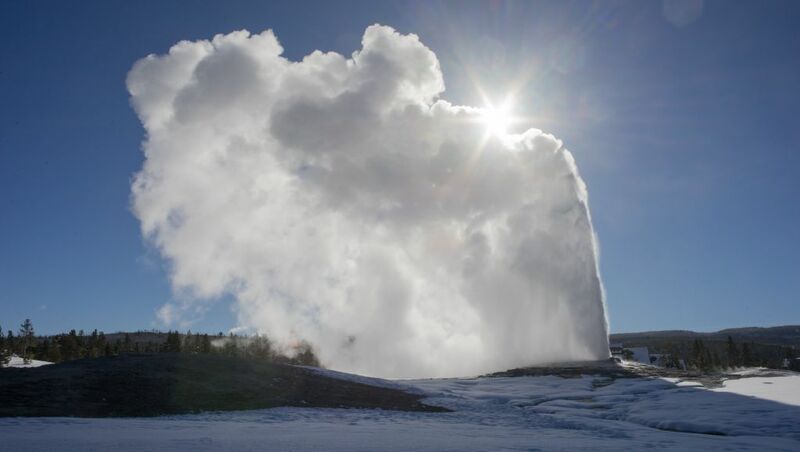 Snowcoach tours allow you to witness the stunning beauty of Yellowstone National Park. 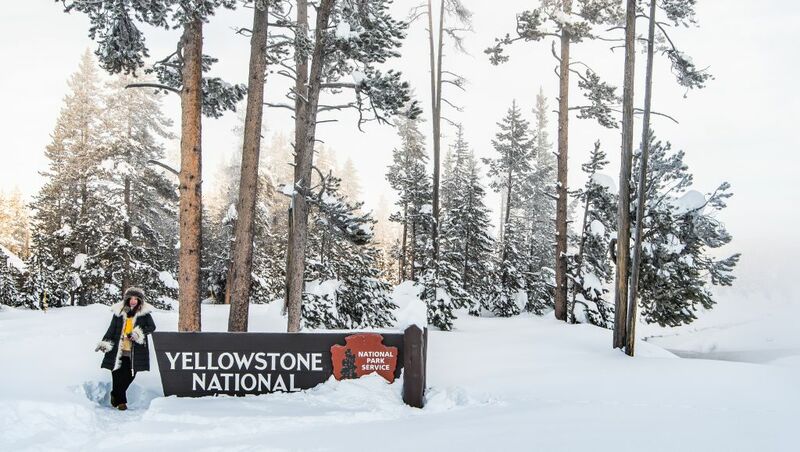 You will travel from Jackson Hole to Flagg Ranch (the southern entrance of Yellowstone) in wheeled vehicles. 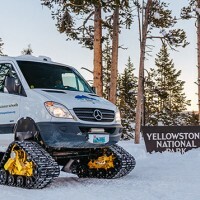 Then our custom designed Mercedes-Benz Snowcoach takes you over snow packed roads through Yellowstone National Park. Trip Duration: 12-13 hours total. Pick up times vary between 6:00-6:45 am. Offered: December 15, 2018 – March 15, 2019. Tour includes hotel pickup, breakfast, lunch and the use of high quality optics. Your guide will provide Yaktrax traction devices and walking poles. 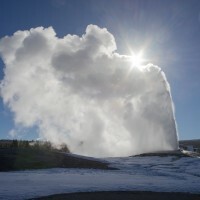 National Park entrance fees and gratuity are not included. What to wear? We recommend wearing layers of clothing due to the continual temperature changes and unpredictability of the weather. We also recommend you wear warm boots, hats and gloves.